We have not had great exposure to Arab cuisine in Britain. Our connections to that region have never been as close as, say, those we have with our former colonies; so our high streets are more than adequately garnished with restaurants offering Indian food, air travel has introduced us to Spanish food and Greek food, and we have long had love affairs with the dishes of both France and Italy; but the dishes from further south have until recently remained a mystery. 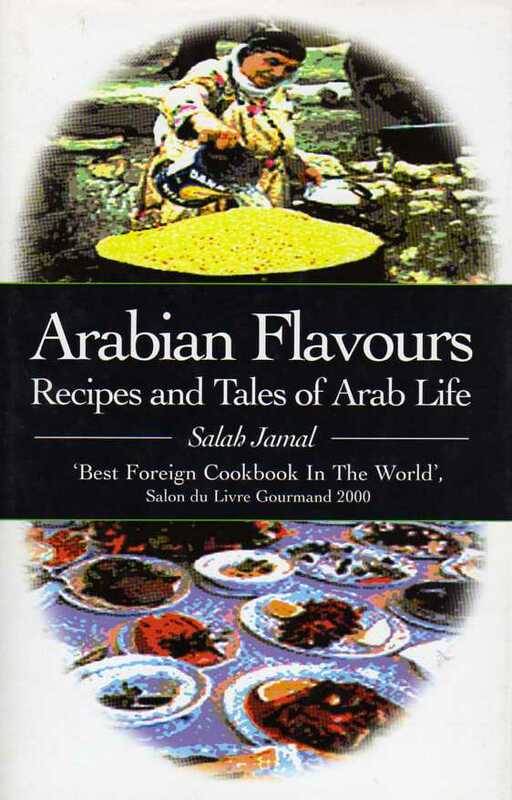 Arabian Flavours – Recipes and Tales of Arab Life offers a rare insight into real Middle Eastern cuisine and family life. It’s easy to forget that those areas that constitute romantic Arabia have not just been war-torn and troubled wastelands but countries that people call home, where there are happy memories of family, friends, conviviality and food. Arab cookbooks are rare, and an Arab man cooking and writing about it is probably an even scarcer commodity. Domestic kitchens in Arab countries, as in Latin countries, have been the domain of mums, daughters and aunties since the invention of the wooden spoon. Those ladies have passed on cherished recipes from one generation to the next. Many of these simple and inexpensive dishes are included in this volume. We have all eaten falafel, hummus and couscous, and there are excellent recipes for those here. They are now common foods in supermarkets and kebab shops throughout the country but they are much better quality when made at home, and this book will introduce you to even more exciting dishes. The author, Salab Jamal, is a Palestinian and he remembers his childhood in Nablus which is these days so often at the centre of conflict. He recounts the tale of his arrival in Spain and the fact that neither he nor his fellow Arab students had a clue how to cook. Seems that necessity was indeed the mother of invention. Salab offers a raft of around a hundred classic Arab recipes and they are an enticing bunch. You would have heard of most of them and perhaps eaten many of them if you have visited Morocco or Egypt. A lovely and quick dish for a breakfast or snack is Mdammas. You can buy the cooked purple broad beans, which are the basis of this recipe, in Middle Eastern grocers shops. Add some spices and vegetables and you have a mixture that cries out to be scooped with Arab flatbread. If you are popular and have 19 friends then you might consider Al Uzi which is a whole stuffed lamb for 20 or so people. You’ll need your largest pot and the use of a range oven. Having said that, I should point out that even this is a simple yet striking dish. Memorable. Arabian Flavours – Recipes and Tales of Arab Life is a must-read for any food lover who is heading to North Africa or any Arab country. The book is a delightful cookbook, a humorous travelogue and a history of one man’s culinary and social experiences. It was awarded “Best Foreign Cookbook in the World” at Salon du Livre Gourmand in 2000. It is a unique and charming volume.